Over the past century, most mattresses have been constructed using traditional coil systems to provide comfort and resistance. The only problem is that many of these mattresses aren’t actually that comfortable. Around 20 years ago, Tempurpedic and a few other mattress companies aimed to change the game by creating mattresses that relied on memory foam and other materials to provide maximum comfort. Since then, memory foam mattresses have become the envy of the mattress world. In recent years, other mattress companies have begun to introduce affordable alternatives to the large mattress providers. DreamCloud is one of the new entrants to the foam mattress industry. Their foam-latex hybrid is one of the most comfortable mattresses currently available on the market. At present, DreamCloud is only offering one type of mattress to its customers. 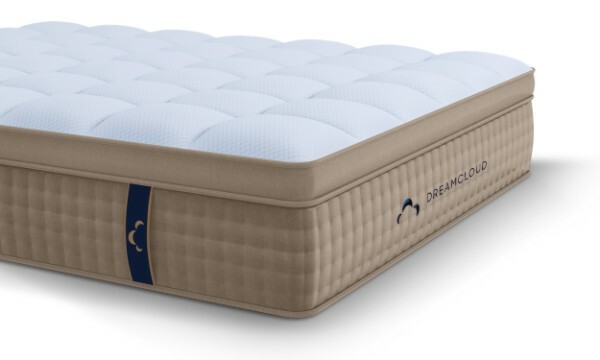 This review will take a look at the DreamCloud signature mattress to help you and your partner determine if this is the right mattress for your home! 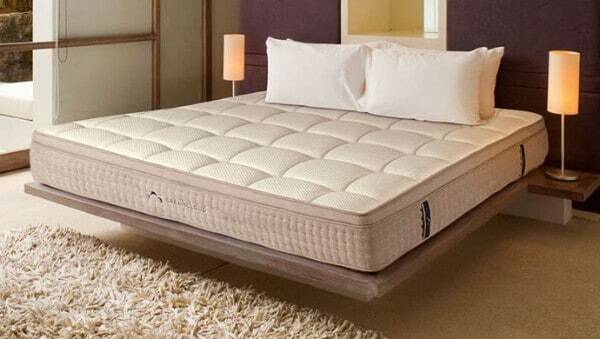 The DreamCloud mattress is one of the most complex mattresses available on the market. DreamCloud uses a multi-layer design that helps provide one of the most comfort-focused mattresses on the market. The mattress is also hand tufted to provide maximum comfort on the top layer of the mattress. We will explore the three primary mattress layers in further detail in the next section. The top layer of the DreamCloud mattress consists of three smaller layers of foam. One of these layers is made from a latex that helps dissipate the heat. This does a great job of making the mattress more breathable. The other two layers are made from memory foams that prioritize the comfort of the mattress. DreamCloud ensures that your first point of contact with the mattress is enjoyable. The middle layer of the mattress is made from pocketed coils. This helps provide bounce for the bed – but it also ensures that motion is better dispersed. Space between the coils also helps the mattress remain breathable. This is the foundation layer of the mattress. This portion of the mattress ensures that the rest of the mattress is able to support your weight while you sleep – without the foundation, you’d sink to the bottom! This layer is made from high-density poly-foam. The outer edges are also foam encases in order to ensure that that there is maximum edge support for people sleeping on the mattress. This means that you won’t have to worry about falling off the edge of the bed if you move while you sleep. The cover of the DreamCloud is made from a blend of cashmere and polyester. This creates a stretchable and durable cover. It also means that you benefit from a soft base beneath your sheets. In addition, the cover is also quilted with some additional memory foam to create an initial point of comfort for the sleeper. It makes the DreamCloud mattress cover one of the most comfortable mattress covers on the market. The memory foam top ensures that the comfort of the mattress isn’t compromised because of the cover. One of the most important factors in assessing the viability of a mattress for you or your partner is the firmness. If a mattress is too firm, it can be uncomfortable. If it isn’t firm enough, you may sink to the bottom of it when you lie down. The firmness level you need will depend on your weight and preference. Regardless, we’ve ran some tests on the mattress to determine the firmness level. After numerous tests, we’ve concluded that the DreamCloud mattress comes in at around a 7.5. This makes it well above the average firmness level for most foam mattresses. If you weigh under 260 pounds, this mattress will be a great fit for you. Although if you are extremely light, you may find that this mattress is too firm. At the end of the day, support and firmness comes down to personal preference. You should compare this against the other mattresses we’ve reviewed on our site. We review mattresses on the same firmness scale so you have a better idea of how to compare mattresses to one another. In terms of motion transfer, the DreamCloud does a great job of reducing the overall motion transfer in the mattress. This means that impact on one area of the mattress won’t be felt in another area of the mattress. This is a quality that many people are looking for when they purchase a foam mattress – it’s one of the many things that makes foam superior to traditional spring mattresses. If you have a restless partner that often wakes you by moving in the middle of the night, the DreamCloud is a good option. The independently wrapped coils and memory foam help to prevent motion from transferring across the bed. DreamCloud has designed this intentionally to help prevent accidents and the effects of restless sleepers. DreamCloud is a new entrant to the mattress industry – they haven’t had considerable time to make many changes to their current design. Unlike many established mattress firms in the United States, DreamCloud doesn’t have several different bed models or designs. Check this space in the future to see if DreamCloud makes any additions. One major criticism of foam mattresses is that sleepers sink too far into them. This can result in you retaining too much body heat or feeling uncomfortable. One of the best ways to understand how much sinkage occurs on the mattress is to test it – and we’ve done just that! DreamCloud mattresses are much more affordable than many other high-end, luxury brands. This being said, the mattresses are still significantly more expensive than many of the new entrants to the market. A lot of this comes down to the complexity of the design that DreamCloud offers. If you’re looking for an extremely cheap mattress to purchase, this isn’t your best foam mattress choice. If you’re trying to decide if the DreamCloud is the right mattress for you, there are some other things you should keep in mind. Full Year Trial – One of the longest trial periods available from modern mattress providers in the United States. Free Shipping – If you live inside of the United States, you’ll receive free shipping and returns on any DreamCloud mattresses that you purchase. Lifetime Warranty – DreamCloud provides lifetime warranties to all their customers, this is one of the only mattress companies that is currently providing this level of warranty. At the end of the day, the perfect mattress for you will come down to personal preference. If you’re looking for a mattress that has above average support, the DreamCloud is definitely a mattress that should be on your shortlist. The DreamCloud mattress does a wonderful job of combining comfort and support – the foam and coil combination complement each other wonderfully in this mattress. If you have a partner that is restless, this will also be a good mattress for you – it does a great job of preventing any major motion transfer while you sleep on the bed. The added benefits included with the mattress are also outstanding. No paying for shipments and returns means you can try the mattress completely risk-free. In addition, the full-year trial is one of the longest offered mattress trials in the world. DreamCloud is also the only mattress company that we’ve seen offering a free clean to their customers. In terms of price, you can definitely find quality mattresses cheaper. This being said, the DreamCloud is a truly luxurious mattress that offers a lot more than your standard foam mattress. And most of all, it still comes in much cheaper than high-end competitors such as Tempurpedic. 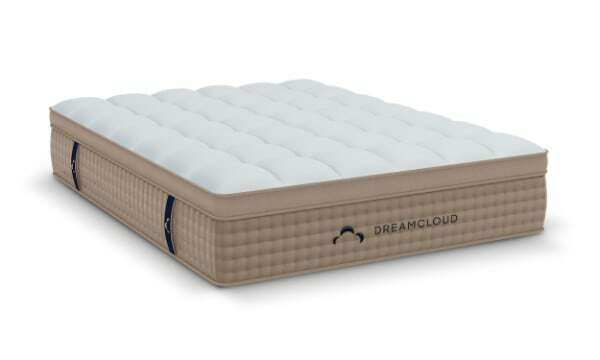 While the name doesn’t have the same brand recognition, the DreamCloud is definitely of comparable quality. If you don’t think this is the right mattress for you, we have plenty of other mattress reviews on our site. Make sure to check them out!